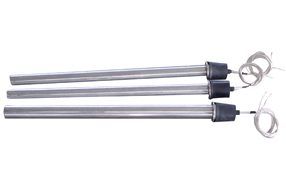 Flanged heaters are commonly used in many chemical, petroleum and water based applications. Consisting normally of an ANSI rated flange with several hairpin elements or bugle tubular elements extending from the face of the flange, this electric heater uses direct heat application to the liquid medium. 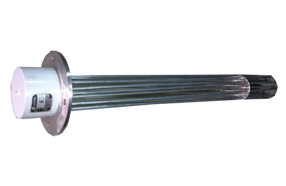 Flanged heaters allow the flexibility of using many different alloys to help resist corrosion and maintain life longevity of the flanged heating element. Steel flanges are typically used for lubricant oils, heavy and light oils, waxes as well as mildly corrosive liquids and low flow gas heating.